1 A None No Power Seat 1 A is a standard Business Class seat however, the proximity to the lavatories and galley may be bothersome. 1 C None No Power Seat 1 C is a standard Business Class seat however, the proximity to the lavatories and galley may be bothersome. 1 D None No Power Seat 1 D is a standard Business Class seat however, the proximity to the lavatories and galley may be bothersome. 1 H None No Power Seat 1 H is a standard Business Class seat however, the proximity to the lavatories and galley may be bothersome. 1 J None No Power Seat 1 J is a standard Business Class seat however, the proximity to the lavatories and galley may be bothersome. 1 L None No Power Seat 1 L is a standard Business Class seat however, the proximity to the lavatories and galley may be bothersome. 12 A None No Power Seat 12 A is a standard Economy Class seat that LATAM Airlines designates as a 'Space +' seat. There is an extra surcharge required to book this seat. The proximity to the galleys may be bothersome. There is no floor storage for this seat during takeoff and landing. 12 B None No Power Seat 12 B is a standard Economy Class seat that LATAM Airlines designates as a 'Space +' seat. There is an extra surcharge required to book this seat. The proximity to the galleys may be bothersome. There is no floor storage for this seat during takeoff and landing. 12 C None No Power Seat 12 C is a standard Economy Class seat that LATAM Airlines designates as a 'Space +' seat. There is an extra surcharge required to book this seat. The proximity to the galleys may be bothersome. There is no floor storage for this seat during takeoff and landing. 12 D None No Power Seat 12 D is a standard Economy Class seat that LATAM Airlines designates as a 'Space +' seat. There is an extra surcharge required to book this seat. The proximity to the galleys may be bothersome. There is no floor storage for this seat during takeoff and landing. 12 F None No Power Seat 12 F is a standard Economy Class seat that LATAM Airlines designates as a 'Space +' seat. There is an extra surcharge required to book this seat. The proximity to the galleys may be bothersome. There is no floor storage for this seat during takeoff and landing. 12 H None No Power Seat 12 H is a standard Economy Class seat that LATAM Airlines designates as a 'Space +' seat. There is an extra surcharge required to book this seat. The proximity to the galleys may be bothersome. There is no floor storage for this seat during takeoff and landing. 12 J None No Power Seat 12 J is a standard Economy Class seat that LATAM Airlines designates as a 'Space +' seat. There is an extra surcharge required to book this seat. The proximity to the galleys may be bothersome. There is no floor storage for this seat during takeoff and landing. 12 K None No Power Seat 12 K is a standard Economy Class seat that LATAM Airlines designates as a 'Space +' seat. There is an extra surcharge required to book this seat. The proximity to the galleys may be bothersome. There is no floor storage for this seat during takeoff and landing. 12 L None No Power Seat 12 L is a standard Economy Class seat that LATAM Airlines designates as a 'Space +' seat. There is an extra surcharge required to book this seat. The proximity to the galleys may be bothersome. There is no floor storage for this seat during takeoff and landing. 13 A None No Power Seat 13 A is a standard Economy Class seat that LATAM Airlines designates as a 'Space +' seat. There is an extra surcharge required to book this seat. 13 B None No Power Seat 13 B is a standard Economy Class seat that LATAM Airlines designates as a 'Space +' seat. There is an extra surcharge required to book this seat. 13 C None No Power Seat 13 C is a standard Economy Class seat that LATAM Airlines designates as a 'Space +' seat. There is an extra surcharge required to book this seat. 13 D None No Power Seat 13 D is a standard Economy Class seat that LATAM Airlines designates as a 'Space +' seat. There is an extra surcharge required to book this seat. 13 F None No Power Seat 13 F is a standard Economy Class seat that LATAM Airlines designates as a 'Space +' seat. There is an extra surcharge required to book this seat. 13 H None No Power Seat 13 H is a standard Economy Class seat that LATAM Airlines designates as a 'Space +' seat. There is an extra surcharge required to book this seat. 13 J None No Power Seat 13 J is a standard Economy Class seat that LATAM Airlines designates as a 'Space +' seat. There is an extra surcharge required to book this seat. 13 K None No Power Seat 13 K is a standard Economy Class seat that LATAM Airlines designates as a 'Space +' seat. There is an extra surcharge required to book this seat. 13 L None No Power Seat 13 L is a standard Economy Class seat that LATAM Airlines designates as a 'Space +' seat. There is an extra surcharge required to book this seat. 14 A None No Power Seat 14 A is a standard Economy Class seat that LATAM Airlines designates as a 'Space +' seat. There is an extra surcharge required to book this seat. 14 B None No Power Seat 14 B is a standard Economy Class seat that LATAM Airlines designates as a 'Space +' seat. There is an extra surcharge required to book this seat. 14 C None No Power Seat 14 C is a standard Economy Class seat that LATAM Airlines designates as a 'Space +' seat. There is an extra surcharge required to book this seat. 14 D None No Power Seat 14 D is a standard Economy Class seat that LATAM Airlines designates as a 'Space +' seat. There is an extra surcharge required to book this seat. 14 F None No Power Seat 14 F is a standard Economy Class seat that LATAM Airlines designates as a 'Space +' seat. There is an extra surcharge required to book this seat. 14 H None No Power Seat 14 H is a standard Economy Class seat that LATAM Airlines designates as a 'Space +' seat. There is an extra surcharge required to book this seat. 14 J None No Power Seat 14 J is a standard Economy Class seat that LATAM Airlines designates as a 'Space +' seat. There is an extra surcharge required to book this seat. 14 K None No Power Seat 14 K is a standard Economy Class seat that LATAM Airlines designates as a 'Space +' seat. There is an extra surcharge required to book this seat. 14 L None No Power Seat 14 L is a standard Economy Class seat that LATAM Airlines designates as a 'Space +' seat. There is an extra surcharge required to book this seat. 15 A None No Power Seat 15 A is a standard Economy Class seat that LATAM Airlines designates as a 'Space +' seat. There is an extra surcharge required to book this seat. 15 B None No Power Seat 15 B is a standard Economy Class seat that LATAM Airlines designates as a 'Space +' seat. There is an extra surcharge required to book this seat. 15 C None No Power Seat 15 C is a standard Economy Class seat that LATAM Airlines designates as a 'Space +' seat. There is an extra surcharge required to book this seat. 15 D None No Power Seat 15 D is a standard Economy Class seat that LATAM Airlines designates as a 'Space +' seat. There is an extra surcharge required to book this seat. 15 F None No Power Seat 15 F is a standard Economy Class seat that LATAM Airlines designates as a 'Space +' seat. There is an extra surcharge required to book this seat. 15 H None No Power Seat 15 H is a standard Economy Class seat that LATAM Airlines designates as a 'Space +' seat. There is an extra surcharge required to book this seat. 15 J None No Power Seat 15 J is a standard Economy Class seat that LATAM Airlines designates as a 'Space +' seat. There is an extra surcharge required to book this seat. 15 K None No Power Seat 15 K is a standard Economy Class seat that LATAM Airlines designates as a 'Space +' seat. There is an extra surcharge required to book this seat. 15 L None No Power Seat 15 L is a standard Economy Class seat that LATAM Airlines designates as a 'Space +' seat. There is an extra surcharge required to book this seat. 16 A None No Power Seat 16 A is a standard Economy Class seat that LATAM Airlines designates as a 'Space +' seat. There is an extra surcharge required to book this seat. 16 B None No Power Seat 16 B is a standard Economy Class seat that LATAM Airlines designates as a 'Space +' seat. There is an extra surcharge required to book this seat. 16 C None No Power Seat 16 C is a standard Economy Class seat that LATAM Airlines designates as a 'Space +' seat. There is an extra surcharge required to book this seat. 16 J None No Power Seat 16 J is a standard Economy Class seat that LATAM Airlines designates as a 'Space +' seat. There is an extra surcharge required to book this seat. 16 K None No Power Seat 16 K is a standard Economy Class seat that LATAM Airlines designates as a 'Space +' seat. There is an extra surcharge required to book this seat. 16 L None No Power Seat 16 L is a standard Economy Class seat that LATAM Airlines designates as a 'Space +' seat. There is an extra surcharge required to book this seat. 28 C None No Power Seat 28 C is a standard Economy Class seat however, the proximity to the lavatories may be bothersome. 28 D None No Power Seat 28 D is a standard Economy Class seat however, the proximity to the lavatories may be bothersome. 28 F None No Power Seat 28 F is a standard Economy Class seat however, the proximity to the lavatories may be bothersome. 28 K None No Power Seat 28 K is a standard Economy Class seat however, the proximity to the lavatories may be bothersome. 28 L None No Power Seat 28 L is a standard Economy Class seat however, the proximity to the lavatories may be bothersome. 29 A None No Power Seat 29 A is a standard Economy Class seat however, the proximity to the lavatories may be bothersome. 29 B None No Power Seat 29 B is a standard Economy Class seat however, the proximity to the lavatories may be bothersome. 29 C None No Power Seat 29 C is a standard Economy Class seat however, the proximity to the lavatories may be bothersome. 30 A None No Power Seat 30 A is a standard Economy Class seat that LATAM Airlines designates as a 'Space +' seat. There is an extra surcharge required to book this seat. This seat has extra legroom due to the exit however, the proximity to the lavatories may be bothersome. This seat is also missing a window. The tray table and TV are in the armrest, making the armrest immovable and slightly reducing seat width. There is no floor storage during take-off or landing. 30 B None No Power Seat 30 B is a standard Economy Class seat that LATAM Airlines designates as a 'Space +' seat. There is an extra surcharge required to book this seat. This seat has extra legroom due to the exit however, the proximity to the lavatories may be bothersome. The tray table and TV are in the armrest, making the armrest immovable and slightly reducing seat width. There is no floor storage during take-off or landing. 30 C None No Power Seat 30 C is a standard Economy Class seat that LATAM Airlines designates as a 'Space +' seat. There is an extra surcharge required to book this seat. This seat has extra legroom due to the exit however, the proximity to the lavatories may be bothersome. The tray table and TV are in the armrest, making the armrest immovable and slightly reducing seat width. There is no floor storage during take-off or landing. 30 D None No Power Seat 30 D is a standard Economy Class seat that LATAM Airlines designates as a 'Space +' seat. There is an extra surcharge required to book this seat. This seat has extra legroom due to the exit however, the proximity to the lavatories may be bothersome. The tray table and TV are in the armrest, making the armrest immovable and slightly reducing seat width. There is no floor storage during take-off or landing. 30 F None No Power Seat 30 F is a standard Economy Class seat that LATAM Airlines designates as a 'Space +' seat. There is an extra surcharge required to book this seat. This seat has extra legroom due to the exit however, the proximity to the lavatories may be bothersome. The tray table and TV are in the armrest, making the armrest immovable and slightly reducing seat width. There is no floor storage during take-off or landing. 30 H None No Power Seat 30 H is a standard Economy Class seat that LATAM Airlines designates as a 'Space +' seat. There is an extra surcharge required to book this seat. This seat has extra legroom due to the exit however, the proximity to the lavatories may be bothersome. The tray table and TV are in the armrest, making the armrest immovable and slightly reducing seat width. There is no floor storage during take-off or landing. 30 J None No Power Seat 30 J is a standard Economy Class seat that LATAM Airlines designates as a 'Space +' seat. There is an extra surcharge required to book this seat. This seat has extra legroom due to the exit however, the proximity to the lavatories may be bothersome. The tray table and TV are in the armrest, making the armrest immovable and slightly reducing seat width. There is no floor storage during take-off or landing. 30 K None No Power Seat 30 K is a standard Economy Class seat that LATAM Airlines designates as a 'Space +' seat. There is an extra surcharge required to book this seat. This seat has extra legroom due to the exit however, the proximity to the lavatories may be bothersome. The tray table and TV are in the armrest, making the armrest immovable and slightly reducing seat width. There is no floor storage during take-off or landing. 30 L None No Power Seat 30 L is a standard Economy Class seat that LATAM Airlines designates as a 'Space +' seat. There is an extra surcharge required to book this seat. This seat has extra legroom due to the exit however, the proximity to the lavatories may be bothersome. This seat is also missing a window. The tray table and TV are in the armrest, making the armrest immovable and slightly reducing seat width. There is no floor storage during take-off or landing. 41 A None No Power Seat 41 A is a standard Economy Class seat that does not have a window. 41 L None No Power Seat 41 L is a standard Economy Class seat that does not have a window. 43 A None No Power Seat 43 A is a standard Economy Class seat that is often not available for booking, as it is normally reserved as a crew rest seat. The proximity to the lavatories may be bothersome. 43 C None No Power Seat 43 C is a standard Economy Class seat that is often not available for booking, as it is normally reserved as a crew rest seat. The proximity to the lavatories may be bothersome. 43 J None No Power Seat 43 J is a standard Economy Class seat that is often not available for booking, as it is normally reserved as a crew rest seat. The proximity to the lavatories may be bothersome. 43 L None No Power Seat 43 L is a standard Economy Class seat that is often not available for booking, as it is normally reserved as a crew rest seat. The proximity to the lavatories may be bothersome. 44 D None No Power Seat 44 D is a standard Economy Class seat in the last row of the aircraft that may have limited recline. The close proximity to the lavatories may be bothersome. 44 F None No Power Seat 44 F is a standard Economy Class seat in the last row of the aircraft that may have limited recline. The close proximity to the lavatories may be bothersome. 44 H None No Power Seat 44 H is a standard Economy Class seat in the last row of the aircraft that may have limited recline. The close proximity to the lavatories may be bothersome. 5 A None No Power Seat 5 A is a standard Business Class seat however, the proximity to the galleys may be bothersome. 5 C None No Power Seat 5 C is a standard Business Class seat however, the proximity to the galleys may be bothersome. 5 D None No Power Seat 5 D is a standard Business Class seat however, the proximity to the galleys may be bothersome. 5 H None No Power Seat 5 H is a standard Business Class seat however, the proximity to the galleys may be bothersome. 5 J None No Power Seat 5 J is a standard Business Class seat however, the proximity to the galleys may be bothersome. 5 L None No Power Seat 5 L is a standard Business Class seat however, the proximity to the galleys may be bothersome. The LATAM Airllines Boeing 787-900 aircraft is operated on long-haul routes. 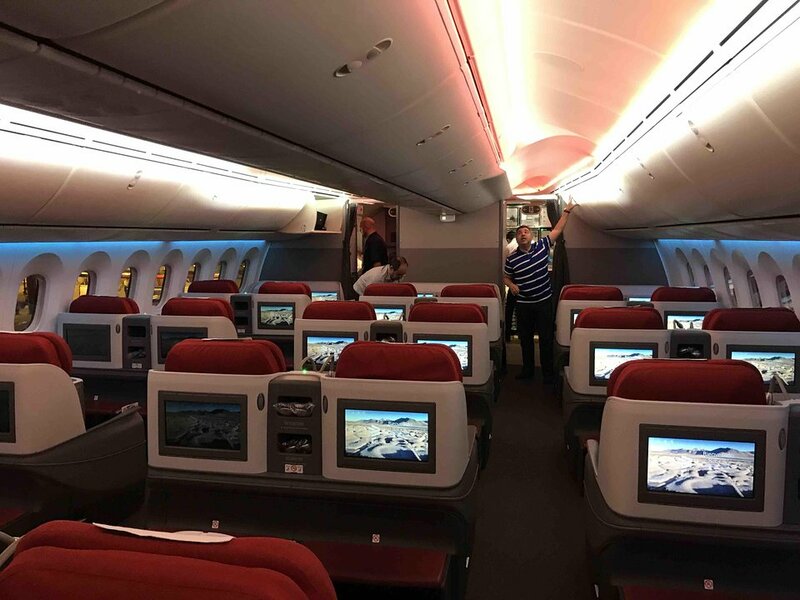 This 787-900 features a two class configuration with 30 flat bed Premium Business seats and 283 standard Economy Class seats. This aircraft features 51 of LATAM Airlines' Space + preferred Economy Class seats that provide an extra 2" of seat pitch. Please note the seats in row 43 are generally designated as crew rest seats, and therefore may often not be available to book. This seat should not be even SOLD as a seat. On Qantas, there is no seat here. The exit door mechanism encroaches on the leg room and it is impossible to put your legs straight. Totally unacceptable for any situation, but especially for long haul. 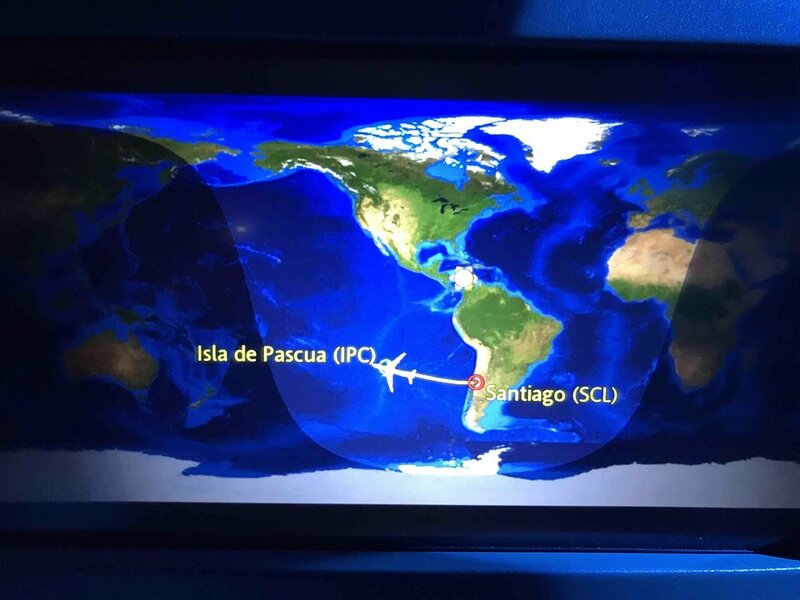 Shame on LATAM for this configuration! For me one of the best for long travels. - Not need to wait standing the bathroom, just wait for less demand of the bathroom - If you traveler alone, probably the others two seat be used by a couple, so they are not going to disturb you when they need to go to the bathroom - Because is a hallway seat, not need to carry with your bags, just need to put above you, this gives more space to rest. It had extra legroom even though your map indicates up to row 16 are space+. Great seat. Seat was great. The gallery was not used for my flight so no one was behind me. The staff may have been down the back end. The seat is great but because of the curve of the plane it appears to be slightly smaller. Those seate are very very unconfortable because the emergency door raft uses about 1/3 of the space for the legroom so yo habe to move your legs to the side. The biz class seats on the 787 IMO are not as good as the seats they had on the A340. When you recline the seat the part you are sitting on slides forward markedly reducing available leg room. No good if you are taller than 6ft 2 or so. Food was pretty good. You now get a basic amenity kit between AU and NZ. Movies are fairly limited. Nice big windows. No more having to bend your head to see out while seat is in fully upright position. Aircraft itself is a pleasure to fly in. New business class product is a bit of a let down. Very nice seat because is in the middle of Galys and Bathroom, so there is no noisy at all. In my opinion one of the best business class product for a 2 hour flight within Europe, probably the best on FRA-MAD route. The flat-bed seat and service was simply excellent. The FA´s are very friendly and attentive. The B787-9 was brand-new and spotless. Overall, it´s highly recommendable. Very uncomfortable seating plan for 3-3-3. Travelled in both window and aisle seats, 12 hour journeys both ways. Plane is nice and modern and definitely better cabin settings. But smaller than usual seats for such a long haul flight. Also the food departing from Santiago was below average for both menu choices offered. Would recommend alternate options if available. OK, there are good and bad things about this plane on the Chilean national airline. 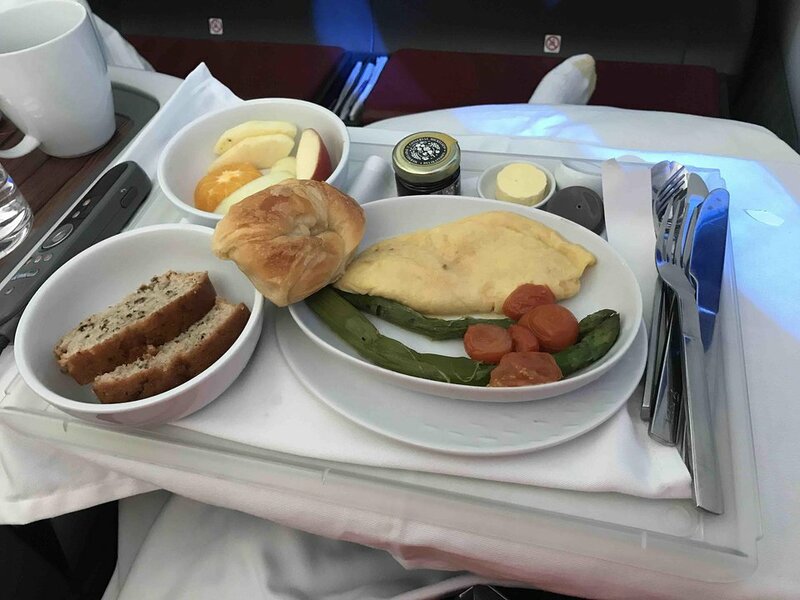 Goods: Very modern plane and interiors, beautiful plane, spacious business class seats, good infligth entertainment, fligth was on time. In the other hand: Counter staff are not really well trained, I boarded my plane from Punta Cana to Santiago and everything about service was well below average. Once we got to the plane, stewards tried to be polite, but not authentic, and the business class service was terrible! no beverages offered! only once! 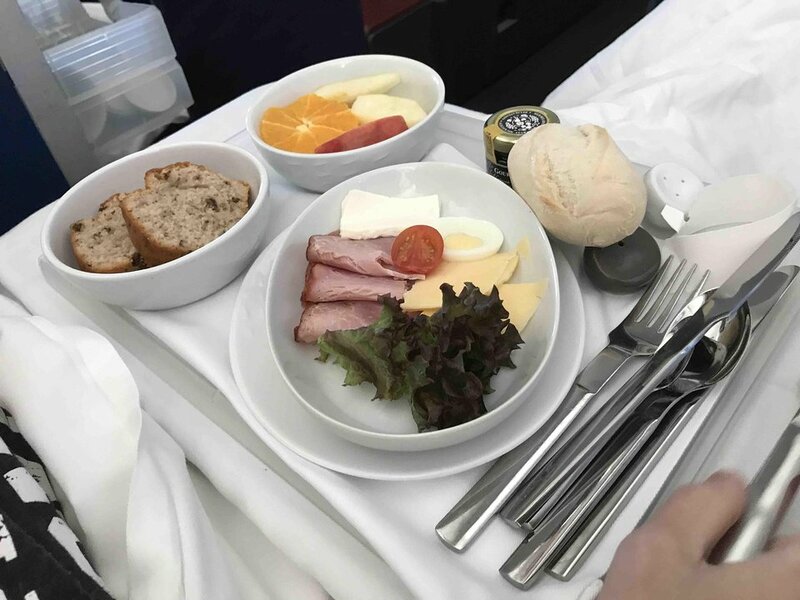 food was served same way as economy class, a stray with everything on it, there was no separation between salad, main and dessert, I mean, this is no wrong, but when you pay an expensive business class ticket, the less you expect for $6,000 is to be well treated. Finally, no jet lag kit was offered, it was a daytime flight, but still you need it. The cabin is not as cozzy as you would think, it is very wide and no privacy is offered, other airlines offer better business class seats. The plane is beautiful outside, top of technology, less consumptions, however, as all the planes all over the world, if you are an economy traveller higher than 180 cm , the seat is unconfortable and you can't sleep. 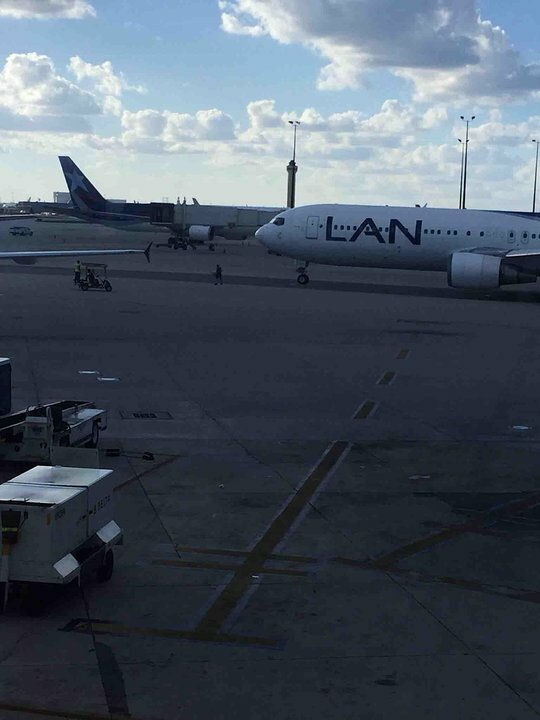 This was my first time flying with LAN, SCL-JFK. Their Premium Business seat is a conventional forward facing 2 x 2 x 2 layout, with six seats across. It is a good layout for traveling with someone you know, but if on your own I would recommend the center aisle for easy access. The seat is comfy as a seat and as a bed, though was a bit short for me at 6'5" (it was tolerable when sleeping on my side with legs bent). It is easy to walk in front of the aisle passenger with seats up (though not down - have to goose step over). The TV is big and picture is sharp. I also like the rectacular storage area under the TV, which is handy for shoes and small bags. In the 787-900 layout, everyone does file past you during boarding (as compared to having forward business cabin in the smaller 787-800). Service was great, wines good, and food average at best. This seat is very comfortable. There is a lot of space to put your bag. It reclines more than other seats and has a lot of legroom. Uncomfortable hard seats with poor leg room for a 11 hour overnight sector. LANs old 767's are far more comfortable and quieter in the cabin than the 787s. Would not fly in a Dreamliner by choice again. Good business class product. The flat bed seat is very good. seats are more than narrow. Unbearable for a long haule flight from MAD to SCL. Good inflight entertainment system but very bad food and service. Once one of the best airlines in SA now bad as bad can be. Never use it again. The exit row seats also have the standard tray table and video console in the seat arm, so the armrests are fixed in place and the seats are more narrow than others. I got very crowded by our row in the morning before landing - the person in the aisle seat was not very happy. LATAM Chile flies 1 versions of Boeing 787-900.